Sometimes I think about having fancy, pedicured feet and what an indulgence that could represent. 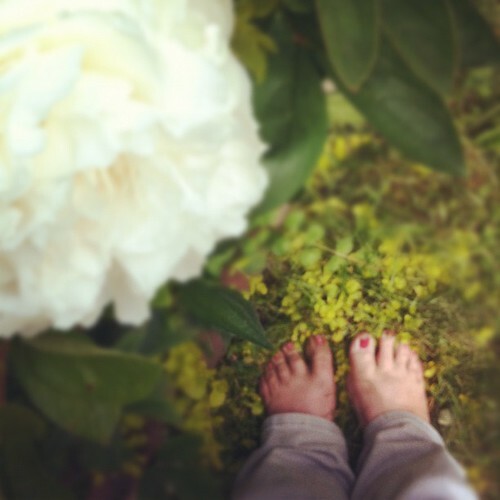 But then I think about how I'd rather have feet that are muddy, dirty, cracked even, because of all the sand, sun, salt and soil they are exposed to, knowing all the adventures and labor those dirty feet represent. Sometimes I think about having pedicured feet. But then I think about how I love gardening and being surrounded by beauty more. You actually can have both! My feet are pedicured and get plenty of dirt,sand,water..you name it!